The Anglican Diocese of Sydney is an approved provider of Special Religious Education (SRE) in NSW public schools. The Archbishop of Sydney is responsible for authorising all Anglican SRE material used in the Diocese of Sydney. He has authorised only the SRE curricula produced by Christian Education Publications for Anglican SRE. Beginning with God is a one year program designed for students starting their first year of school. 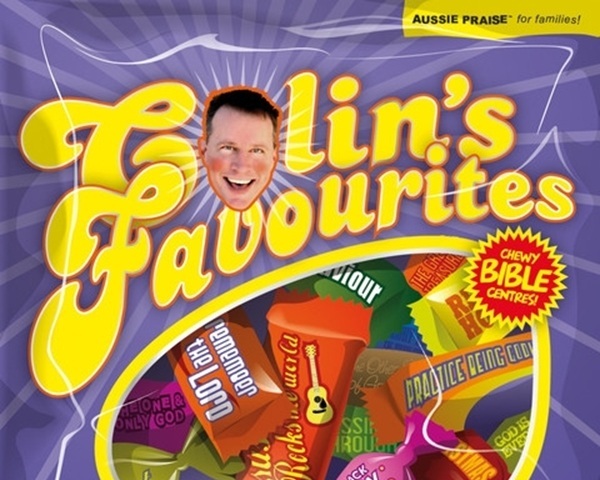 It assumes no background Bible knowledge and introduces the Christian faith in an age appropriate way. The Revised 2018 Beginning with God is the only authorised SRE curriculum you can use with students in Early Stage 1 (Kindergarten) in the Anglican Diocese of Sydney. You can buy Beginning with God student activity books to support your teaching. Student activity books include a double-sided activity sheet for each lesson. The sheets are perforated enabling your students to take something home from each lesson. Connect is a program for Infants, Lower Primary, and Upper Primary students. Based on a three-year cycle, Connect teaches students the key components and themes of the Bible and Christian belief while encouraging them to apply the learning to their own lives. 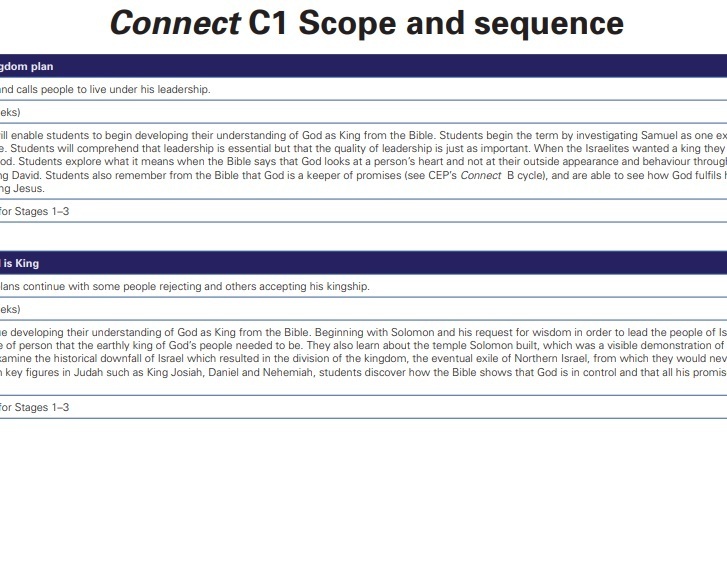 The Revised 2017 Connect A cycle, Revised 2018 Connect B cycle and Revised 2019 Connect C cycle are the authorised SRE curriculum to use with students in Stages 1 - 3 (Years 1 - 6) in the Anglican Diocese of Sydney. You can buy Connect student activity books to support your teaching. Each lesson has a page illustrating Bible characters and reinforcing the key lesson outcomes for students. Big Questions is for students in their last year of primary school who are ready to explore some big issues, share their own opinions and investigate the Bible for themselves. The Revised 2018 Big Questions Semester 1 and Revised 2018 Big Questions Semester 2 are authorised as SRE curriculum you can use with students in Stage 3 (Year 6) in the Anglican Diocese of Sydney. You can buy Big Questions student magazines to support your teaching. Each lessons has its own double page spread of activities, helping your students to express their own questions and reflect on their own relationship with God. Think Faith is the only authorised SRE curriculum you can use with students in Stages 4 and 5 (Years 7 - 10) in the Anglican Diocese of Sydney. Think Faith is a flexible resource providing a learning framework for nurturing, equipping and guiding your students in their understanding of the Christian faith. Think Faith is available through a calendar year digital subscription. Your subscription gives you access to all Think Faith teacher and student resources. Pricing is based on the number of students you teach. 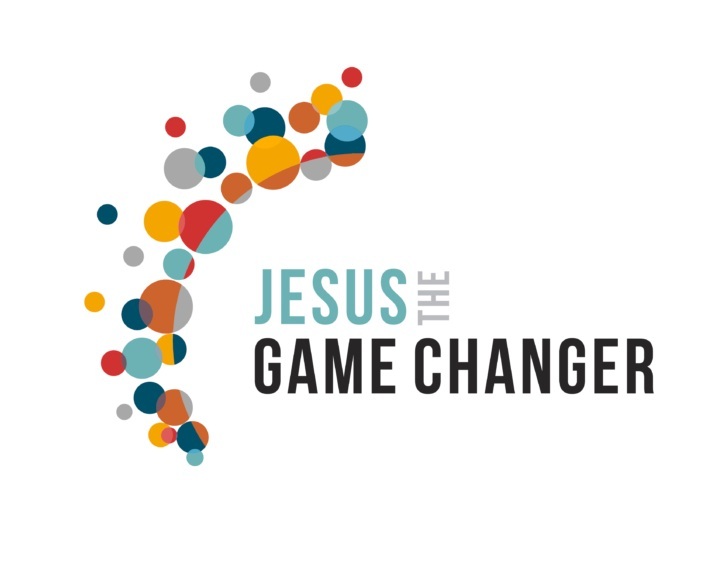 Jesus the Game Changer is the authorised SRE curriculum for Stage 6 (Years 11 - 12) students in the Anglican Diocese of Sydney. Email us to get your access to Jesus the Game Changer. The SRE Multimedia Policy requires you to submit all additional multimedia (that is, written material, apps, music, videos) not included in the authorised curricula of the Anglican Diocese of Sydney for review. The policy was prepared in consultation with the NSW Department of Education multimedia policy, and is administered in cooperation with Christian Education Publications and Generate Ministries. All Quiz Worx school shows are already approved for use in SRE. Quiz Worx school shows support the learning outcomes of the Connect curriculum, and can be used as special events in SRE. 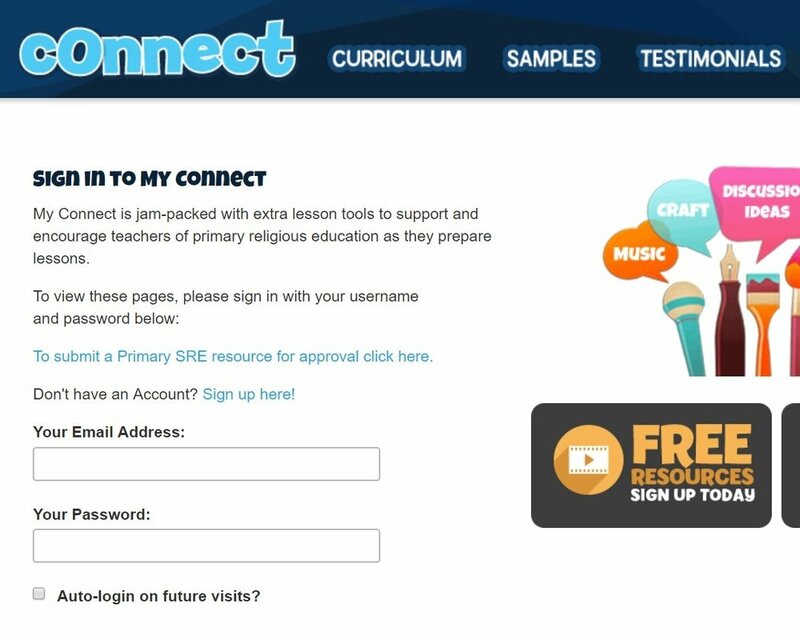 If you are a primary SRE teacher using Beginning with God, Connect or Big Questions, you can submit an additional primary multimedia resources for review. If you are a high school SRE teacher using Think Faith, you can submit a multimedia high school resource for review.